Our outreach program is where we not only talk the talk but walk the walk. 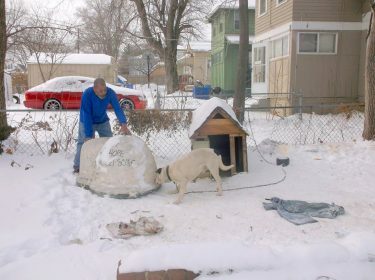 6 days a week, 52 weeks a year, Kate and the outreach team are on the roads and in the back yards of KCMO. From food drop offs to medical emergency pick-ups. Weather does not deter the dedication of the cause and our pursuit to alleviate animal suffering and cruelty. In negative degrees you will find the team delivering hay for dog houses and wire crates so that they may be kept inside. In the suffocating heat of the KC summer, the team is out with water, fly traps, and fly gel to protect the sometimes bleeding ears. 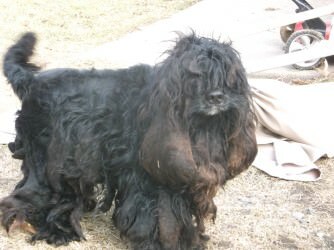 According to KCMO law, the only things pets need are food, water, and shelter. 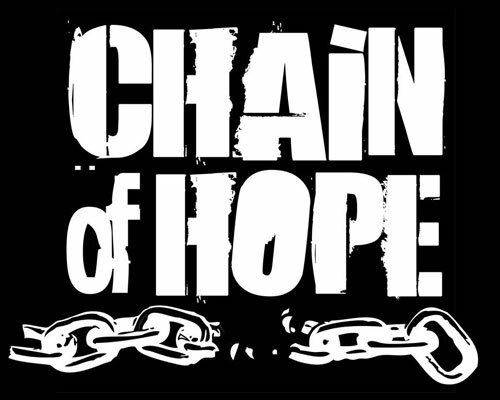 Chain of Hope believes they need and deserve a lot more than those basic necessities. We work tirelessly to achieve any victory we can. Whether it be replacing a 50 lb tow chain with a lightweight tie-out cable or replacing a dilapidated dog house with a new Igloo. The dogs of KCMO recognize the outreach van and know it means that some comfort is coming. “Hook ‘em up!” means that each dog gets a bowl full of delicious food, fresh, clean water, hay or fly traps as needed and of course a nice chewy or toy to bring them a little bit of joy to their life on a chain. 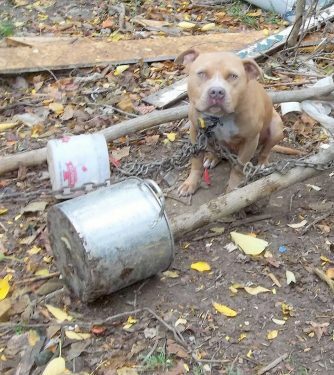 We do not condone leaving animals chained up 24/7 but if we refused to help these people, we would be turning our backs on the animals that need us the most.